Gill will bring to our attention some of the listed buildings in Melksham and provide the history of them and their occupants. 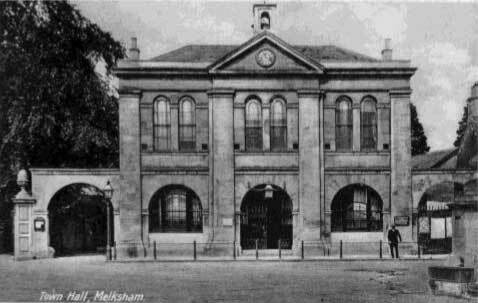 Our meeting on March 17th at Melksham Assembly hall was well attended to hear Gill Cardy give a talk and slide show titled “The listed Buildings of Melksham”. Gill's excellent photographic skills really enhanced her talk and explaination of some of the old buildings and their history. Gill explained that the 2 “round houses” in the town were for drying wool when the town was in a major wool producing area. The Town Hall was originally a Cheese Hall, with the Police Station to its right along with the fire station. Gill explained that the large 4 story houses at the Spa, were built as accommodation when there was an attempt to develop Melksham as a Spa treatment town to rival Bath. Our next meeting will be on Thursday 19th April when Mrs Anne Ewing will present a talk and slide show of the history of Seend. This should provide some surprising information on the village, for instance, did you know that there was an Iron ore smelting factory on the side of the canal, not far from the old station.